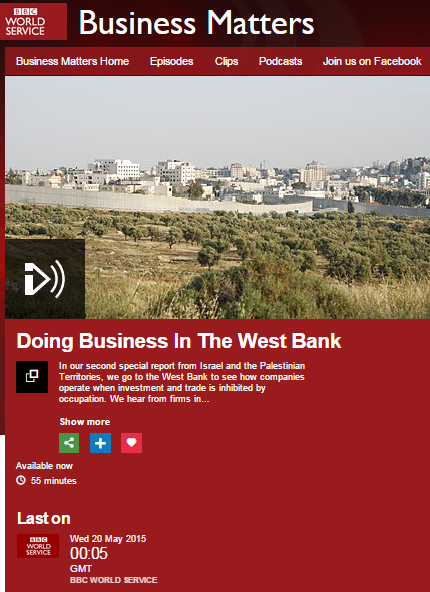 Obviously not content with the previous amplification of propaganda rhetoric used by anti-Israel campaigners on BBC World Service radio last month, the BBC recently decided to promote business reporter Roger Hearing’s mainstreaming of the same ‘open air prison’ trope on several of its other platforms too. So, in addition to casting doubt on the reasons for the outbreak of hostilities on July 8th 2014 (almost a month of incessant attacks on civilians, with hundreds of missiles fired rather than “a series”), Adie also fails to distinguish between civilian and combatant casualties, refrains from noting Egypt’s closure of its border with the Gaza Strip and misleads audiences with the inaccurate claim that the slow pace of reconstruction in the Gaza Strip is because of Israeli restrictions on the import of dual use goods whilst making no effort to inform them of the terrorism which is the cause of those restrictions. ‘From Our Own Correspondent’ also has a BBC World Service radio version presented by Pascale Harter and Hearing’s report was featured in that programme’s June 20th edition too. Harter’s introduction to the item (from 17:55 here) was notably more accurate and impartial than the one heard by listeners to Radio 4. A written version of that audio report from Hearing was also promoted on the BBC News website’s Middle East and Magazine pages on June 21st and in addition that version of the report was translated into Arabic and promoted on the BBC Arabic website. All four versions of the report include overly dramatic, context-free descriptions from Hearing. All four versions also fail to inform audiences that, in addition to ice cream making equipment, the Rafah area smuggling tunnels have of course been used to import weapons into the Strip and that metal piping of assorted types is regularly used by terrorists to manufacture missiles. “He proudly showed us the shiny Italian gelato machines installed in the back rooms of his cafe building. When he was trying to import them, it was hard to convince the Israelis apparently that there wasn’t some other, more threatening purpose for the tall chrome boxes with pipes and chutes and nozzles. 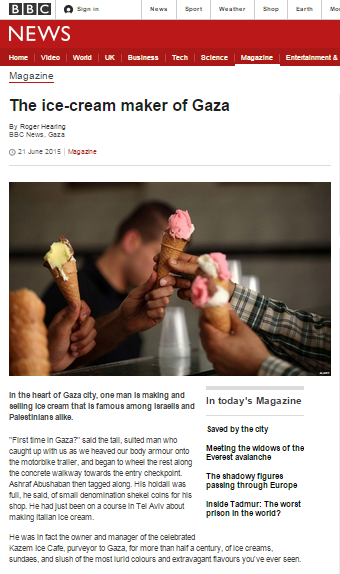 Whilst BBC audiences remain serially unaware of Hamas’ activities in Judea & Samaria and in Turkey, they do now at least know that Hamas officials in Gaza like ice cream. All four of these reports conclude with the same canard promoted by Hearing a month earlier in one of his radio reports from the Gaza Strip. 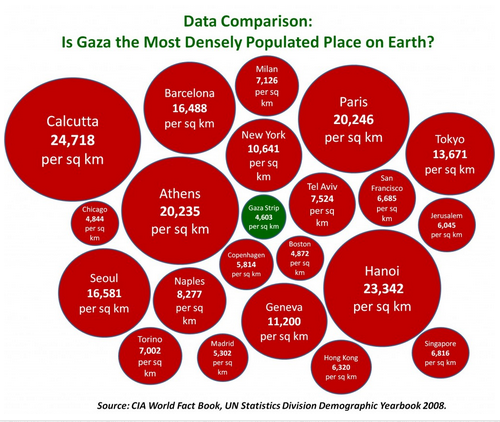 The Gaza Strip is of course not “besieged” at all and those who inaccurately describe it as “the biggest open air prison in the world” do so out of clear political motivations. Thousands of people exit and enter the Gaza Strip every year – as anyone who follows the daily reports publicized by COGAT online and on social media will be aware. But, electing to ignore the facts behind the deliberate misnomer which he has so vigorously promoted over the past few weeks, Roger Hearing continues to mainstream the baseless rhetoric of anti-Israel delegitimisation in a style more suited to the Hamas supporting Palestine Solidarity Campaign’s PR department than a media organization supposedly committed to accurate and impartial reporting. The BBC is undoubtedly capable of identifying the motives and agenda behind the promotion of the inaccurate notion of Gaza as an ‘open air prison’. The fact that it chooses to adopt, amplify and repeatedly mainstream such propaganda on multiple platforms tells audiences all they need to know about the BBC’s supposed ‘impartiality’. 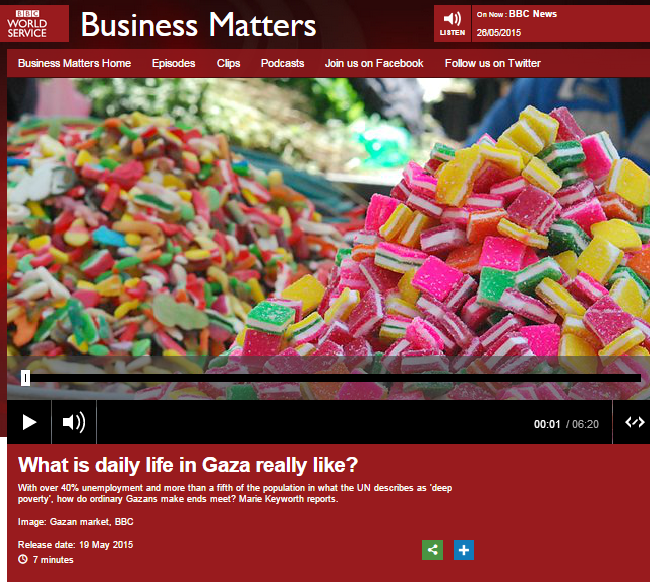 Last week two journalists from the BBC World Service’s business department – Roger Hearing and Marie Keyworth – presented a series of reports from the Gaza Strip, the Palestinian Authority controlled areas and Israel. 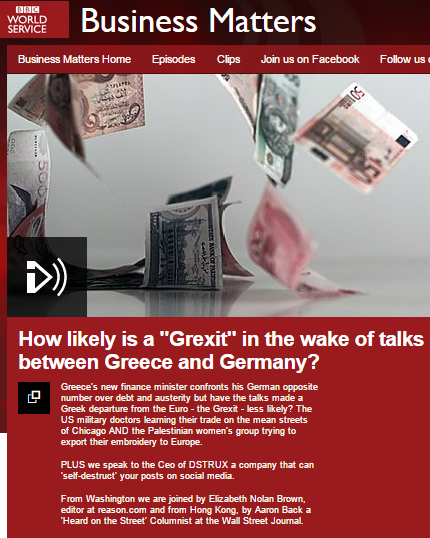 Those reports were aired on two BBC World Service radio shows: ‘Business Matters’ and ‘Business Daily’. 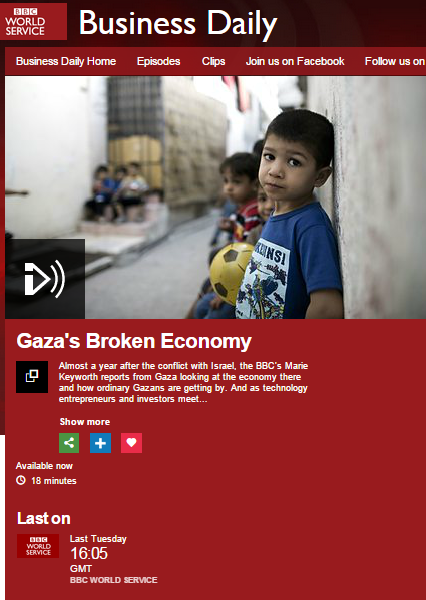 With both those shows being specialist programmes, listeners may have expected to receive some factual information about the relevant background factors affecting what Keyworth’s report of May 19th billed “Gaza’s Broken Economy“. This of course is far from the first time that the BBC has reported on the failure of donors to come up with the contributions pledged at the Cairo donor conference last October but once again we see that no serious exploration of the background to that story takes place and audiences hence lack the information they need in order to be able to understand the contribution of Hamas-PA infighting to the present situation. Whilst Marie Keyworth’s report (also aired on ‘Business Matters’) is high on emotion and pathos, again listeners were not provided with the objective facts and background information necessary for proper understanding of the anecdotes they heard. The second Intifada did not just ‘happen’ of course; it was planned, initiated and executed by representatives and leaders of the same Palestinians who, as a result of that terror war, lost the ability to support their families by means of higher paying work in Israel. No effort was made by Kenworth to inform listeners that Egypt’s closure of the smuggling tunnels in the Rafah region was prompted by the use of those same tunnels for the purpose of terrorism. Likewise, audiences were not told that there are no limitations on the import of foodstuffs via the Kerem Shalom crossing or that the crossing is open most of the time (excepting weekends, holidays and occasionally due to security incidents) meaning that promotion of the notion that imports can only enter Gaza “when they are open” fosters a misleading impression. Listeners heard a similarly context-free and misleading statement concerning “borders” in a segment of the programme recorded in a market. In contrast to the inaccurate impression given to listeners, agricultural produce is of course exported from the Gaza Strip. In addition to the existing exports to Europe and elsewhere, farmers in Gaza also now send produce to PA controlled areas and Israel. So if a reduction in the price of tomatoes in the markets of Gaza is not because “the borders are closed”, what did bring it about? In April 2015 – a month before this BBC report was made – the Palestinian Ministry of Agriculture in Gaza announced that it was temporarily stopping the export of tomatoes from the Gaza Strip due to their high price there. Clearly the Palestinian Ministry of Agriculture does not believe that “the borders are closed” to exports and it is obvious that no fact-checking was carried out by the BBC before this report was broadcast and hence listeners were materially misled. 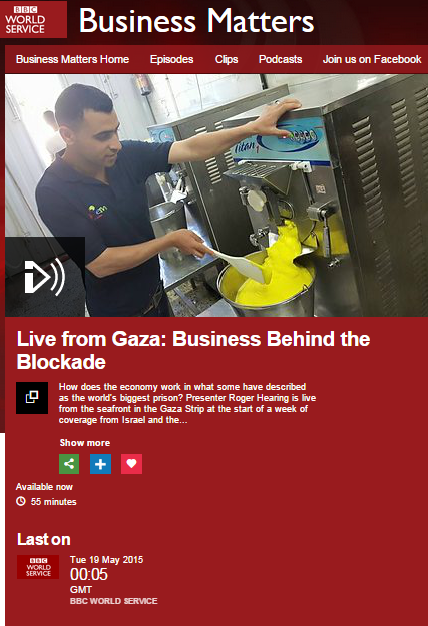 BBC audiences have heard variations of these emotive descriptions of the Gaza economy on assorted BBC platforms on countless occasions in the past. It is however particularly disappointing to see the BBC’s business department producing the same kind of inaccurate and context-free repetition of that standard theme. Any report really aimed at informing audiences about the facts behind the story could not pass up on objective presentation and meaningful analysis of the contribution of Hamas’ terrorism to the real causes of the economic situation in the Gaza Strip. Hearing’s euphemistic reference to fifteen years of “security problems in the West Bank” of course refers to Palestinian terrorism – beginning with the second Intifada in 2000. Whilst failing to accurately name or describe those “security problems” and similarly refraining from clarifying the related issue of why “Palestinian men remain in Israeli detention”, Hearing is less coy about describing “Israeli restrictions”. But are his claims accurate? According to the latest figures from the Palestinian Central Bureau of Statistics, the general employment rate in PA controlled areas and neighbourhoods in eastern Jerusalem stood at 82.6% during the fourth quarter of 2014 and in the Hebron governorate the employment rate during that period was 78.7% (see Table 18 at the link above). Of those in employment in those areas, 15.6% worked in “Israel and settlements” during the last quarter of 2014, with the figure for the Hebron governorate being 18.3% (Table 20). According to Hearing’s presentation of the issue, we would expect the overall number of Palestinians working in Israel to be very few due to those “restrictions” he cites. As can be seen in Table 22 at the link above, the PCBS states that 85,000 people from PA controlled areas in Judea & Samaria worked in Israel during the last quarter of 2014 and a further 20,200 worked in ‘settlements’. As we see in the table below (page 40) the percentage of Palestinians from PA controlled areas and neighbourhoods in eastern Jerusalem employed in “Israel & settlements” has varied between a high of 21.4% in the year 2000 (the Intifada commenced at the start of the final quarter of that year) and a low of 10.7% in 2004. As the security situation improved, the figures rose and the percentage of people employed in 2014 in “Israel & settlements” was only slightly below the figure for 2001. In other words, Hearing’s inference that fewer Palestinians are working in Israel than was the case fifteen years ago does not have strong statistical backing. And what of his claim that because of Israeli security policies it is “extremely difficult to set up or run businesses in town like Hebron”? Hebron is of course situated in Area A and there and in Area B, the Palestinian Authority is solely responsible for regulation concerning business ventures. According to the PCBS, 66.2% of those in employment in the Hebron governorate work in the private sector (Table 32). 20.8% are self-employed and 9.3% are employers (Table 31). By way of comparison, the percentage of self-employed people in the UK stands at around 15%. 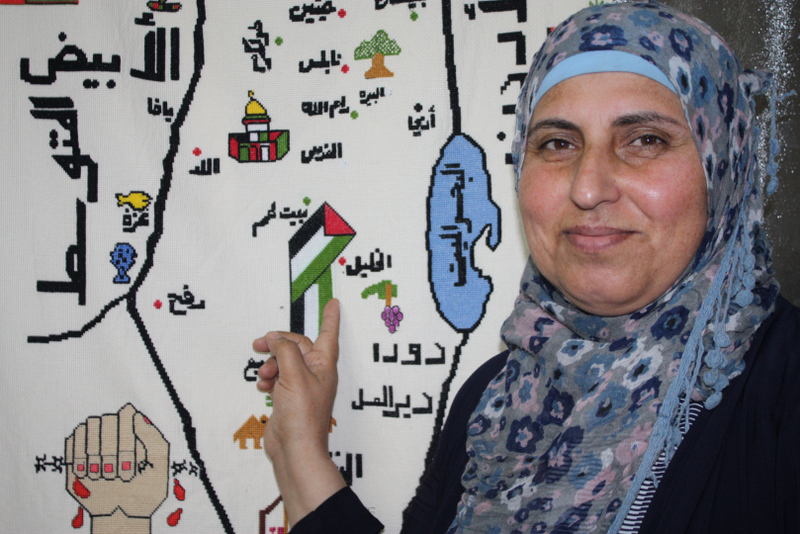 In other words, despite Hearing’s claim, over a fifth of the people in employment in the Hebron district have managed to set up and run businesses. Despite Hearing’s claims of “difficulties moving goods through checkpoints” (the number of which has also been reduced as the security situation improved over the years), in November 2014 alone goods worth $76 million were exported via crossings into Israel where some 1,600 commercial transfers take place daily and the average transfer takes 45 minutes. So where did Roger Hearing obtain the obviously selective and over-simplified information which caused him to present such an inaccurate and politicized picture to BBC World Service listeners? The answer to that is unclear but it may of course have come from his interviewee herself or perhaps from whoever initiated the contact between Nawal Slemiah and his programme’s production team. This is not Ms Slemiah’s first visit to the UK: she has travelled there on several previous occasions since 2013 and her speaking engagements were mostly with political campaigning groups such as Manchester Palestine Action, the Palestine Solidarity Campaign, Students for Justice in Palestine, the Quakers and trade unions. As those who listen to the item in full will appreciate, this is by no means a story about “key global business news”. It is in fact an exercise in political messaging which uses the commercial aspect of the story as a hook and – despite the existence of editorial guidelines which state “[w]e must not endorse or appear to endorse any other organisation, its products, activities, services, views or opinions” – provides a bit of free advertising by means of the promotion of Ms Slemiah’s website at the end, as well as on Twitter. It would therefore be very interesting to know just how ‘Business Matters’ was made aware of this story and whether any of the political campaigning groups with which Ms Slemiah is associated played a role in that matchmaking.